Protege8 and Protege15 touchscreens from Borg Displays offer custom Windows XP embedded or Linux builds for your automation and A/V systems. Its great to have software that can run the electronic devices in a home, but the big-sell to consumers is usually the device used to transmit commands to those devices. Many home control manufacturers design their own styles of handheld remotes, keypads and touchscreens to do the job, but there are some that focus solely on software and contract with other companies to develop the interface. Borg Displays is such a company. 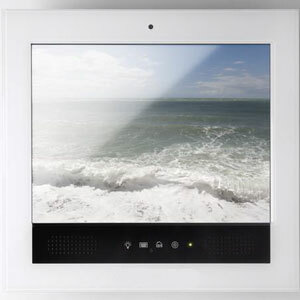 It has developed two new touchscreens, the Protege8 and the Protege15 for in-wall touch access to control applications from not only home control companies but DVRs, energy management solutions and web-based devices. XPe or Linux-based builds. Plus, Borg says theyre energy-savers, consuming a small fraction of the energy of a PC and built to comply with RoHS standards. Together, the touchscreens offer manufacturers and consumers one more choice when it comes to user interfaces. A qualified custom electronics professional designer, can help you choose the best type for your family. You are currently browsing the archives for the Touchscreen category.